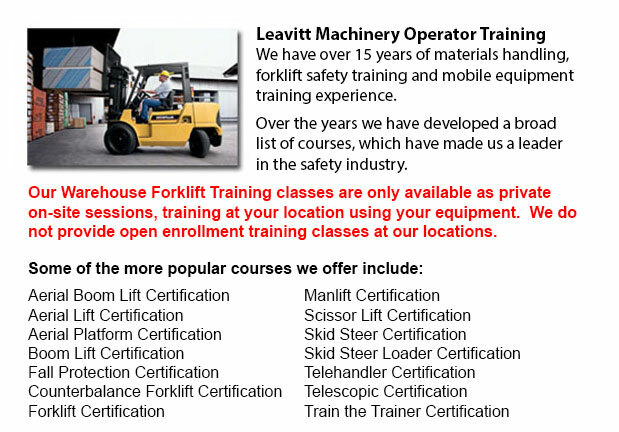 Warehouse Forklift Training Classes Calgary - Warehouse training classes exist for the purpose of raising awareness about common warehouse dangers. Students learn the vital safety procedures which are essential to warehouse safety. An emphasis is placed on paying attention to risk factors that are potential causes of accidents. The objective of the classes is to produce staff who follow safety regulations, resulting in fewer accidents in the warehouse. A safe and successful warehouse operation is one that is efficient and orderly. The warehouse employee is necessary in making sure that supplies are circulated throughout the facility in a timely and efficient manner. Because of the multiple activities involved in warehouse operations, employees in warehouse settings may be at greater risk for accidents than those who work in areas with more limited activities. Therefore, businesses place a top priority on warehouse safety. The key to preventing accidents is understanding all of the potential warehouse dangers. Finds ways to lessen risks and always be alert for potential hazards and dangers. Do whatever is needed to avoid accidents. The most common workplace dangers consist of trips, falls and slips. Accidents similar to these occur as a result of the employee losing their balance and stumbling over something which has not been properly put away. Placing or removing stuff from storage can cause a slip or fumble, possibly resulting in both thing and employee to fall. The potential for falls, slips and trips is increased when employees are moving supplies on different kinds of floor surfaces and on various levels. Another common danger is getting hit by falling objects. This is normally caused by failure to properly stack objects on shelves and other surfaces. Back injuries due to improper lifting techniques are another common danger. Warehouse machines carries inherent hazards. Injuries or accidents could be caused by hand trucks, forklift trucks and conveyors if they are not operated properly. Warehouse tools, such as skids, pallets, strapping and cutting tools, need to be used cautiously throughout unpacking, packing and loading. Materials which are hazardous, flammable or combustible present another type of workplace hazard while being stored inside a warehouse. Workers must know how to take steps to protect themselves from health dangers while working around dangerous materials.